There are still active GoFundMe pages for victims of the Las Vegas mass shooting. Yes, still. More than 500 people were hit with bullets that day. Fifty-eight died. Many of those who survived the shooting are just trying to figure out how to pay their bills. Some are trying to learn to walk. Feed themselves. They will never be OK. This past week there were three school shootings in America. Maybe you missed them since they don't make headline news very often. It's just part of the risk we endure with all this freedom. People are donating money to pay for the funerals of students in Kentucky. OK, relax. I have guns, and I don't want anyone to take mine, so let's just get that out of the way. I have a different idea. Yes. A brand spanking new idea that isn't about free mental health clinics and background checks. This is part of my new "find a solution to solve your complaint" strategy. Glad you're still with me. 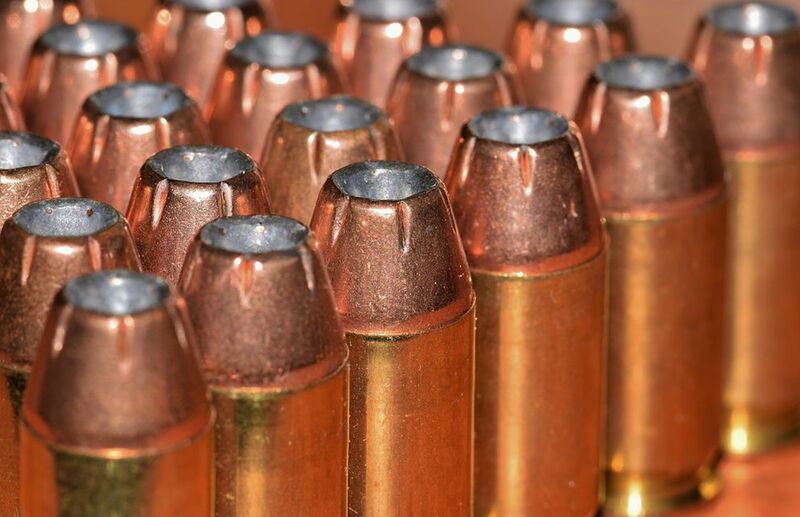 According to journalist Joanna Pearlstein, "There's about 10 billion bullets manufactured in the United States every year." That's an insane number of bullets and it wasn't easy to get the information. It seems like this is some sort of super uber-secret. "Roughly 10 billion rounds are manufactured in the U.S. each year, with a weight equal to two Titanics. More to the point, it's enough bullets to pump 32 rounds into every man, woman, and child in America." Johns Hopkins University School of Medicine recently published a study finding firearm-related injuries total about $2.8 billion annually in initial emergency room and hospital charges. They estimate the burden doesn't stop with the first hospitalization. "Physical therapy, trauma counseling, prescription medicines, lost income and legal claims are among the major considerations. The study's researchers estimate the actual financial burden of firearm-related injuries is closer to $45.6 billion annually." Stay with me for another second. Remember the Oil Spill Liability Trust Fund? That's the fund that oil companies paid into (up until Jan. 1 of this year) to help cover the cost of oil spills. The fund has now more than $5 billion which was paid by the producers into a federal fund. Why? Because we got over the notion that oil spills were never going to happen and thought those emergency funds — used by the Coast Guard — would be necessary. They have been. We are going to have shootings — mass and otherwise — in this country. Is it the culture or video games or rap music? Who cares. No one cares. We accepted it when no meaningful legislation has passed the hallowed halls of our country's oldest institutions. So fine. I mean, not fine. I want them to stop, but as they say, "Want in one hand, and count the school shootings this week in the other." Oh, that's not how the saying goes, but you get my point. We need a Gun Violence Liability Trust created so victims of mass shootings can have access to immediate resources. So the families of those killed — not by guns, but by bullets — don't have to have a spaghetti feed to buy a coffin. The manufacturers of bullets would pay a two-cent charge on each bullet. They pass that cost on to their buyers who pass it on to the customers who come in their shops. It's two cents a bullet to help victims from the bad guys when a good guy wasn't there to stop the whole crime. In the first year, the fund would raise $200 million. I realize that's not enough to cover all the costs from gun violence, but it would be $200 million more than victims had this year. I've run this past a few people. It's not like we're reinventing the wheel here. Taxes are put on and collected from cigarette sales, alcohol, fuel at the pump, airplane tickets, and cable television subscriptions. Have you looked at your phone bill? There's a tax to fund the ability to call 911 in the event of an emergency. Have you called them before? Maybe you haven't, but aren't you glad your neighbor can call for an ambulance when her husband falls off his roof? See how it works? Two cents a bullet. Who is going to notice? The families and the victims of these tragedies, that's who. Stay safe, Alaska.